We find these children rather creepy, in a 'Village of the Damned' sort of way. The sculptor, Meisler was one of the children saved. 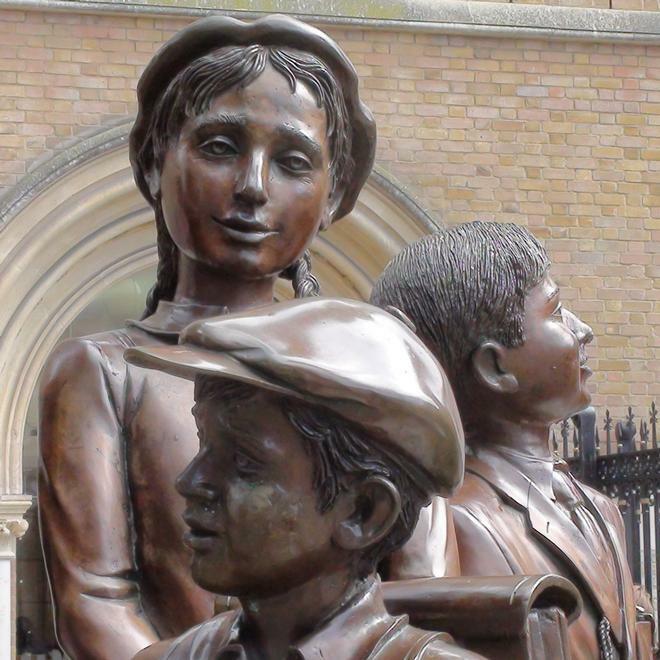 There are other related statue groups by the same sculptor at a number of other stations including: the main Railway Station in Gdansk, Poland; Dammtor Bahnhof Hamburg; Friedrichstrasse Railway Station Berlin; Ferry Port Rotterdam. A sculptor who frequently works alongside Meisler.